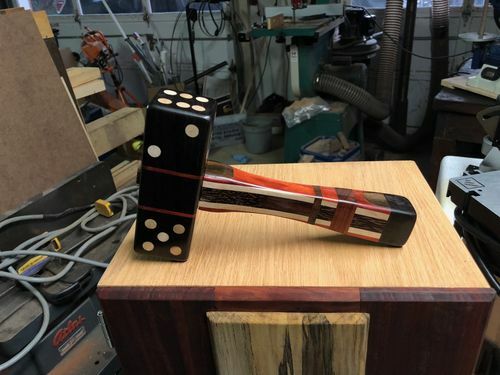 After the summer mallet swap I decided to make a dice mallet for myself and wound up making a dozen of them, trying out a lot of different woods, and ideas. There is a 2 part blog explaining all of the build details. Since I had plenty of extras, I found some “volunteers” to give them a good home and sent them off to their new “forever” homes. Hopefully, they will prove to be useful and durable (though I already heard one of the handles broke during shipping). Glad to say I am one of the ‘volunteers’ and I can hardly wait until it gets here (Tuesday tracking says!). I am really impressed that you would do this for all of us Earl and I promise to make it up to you! 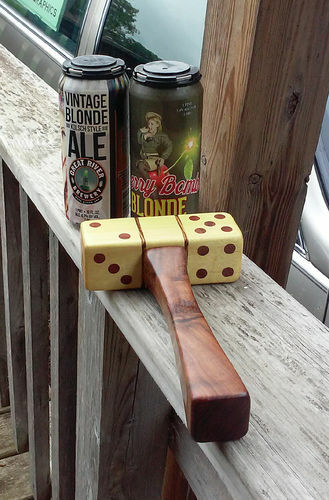 And I hope this blog will help all of my fellow woodworkers to accomplish great things! Somehow I got on the volunteer list too. Thanks, Earl! 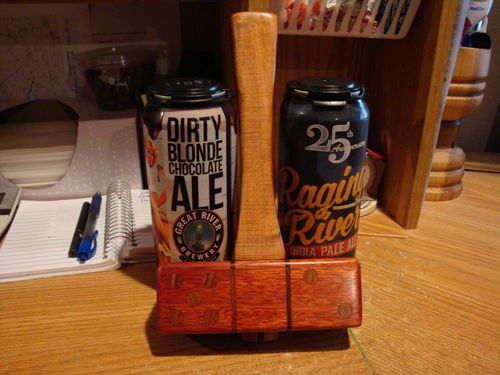 Looking forward to seeing the mallet in person in a couple days! Looking at the tracking, they tried to deliver it at 4:15 this afternoon, but it was going to my work address (the mailman at home is horrible) so they’ll try again on Tuesday. Dave just make sure you don’t open it in public in case you have work policies regarding adult beverages at work. No worry about that, Earl. There’s a “beer bash” every Friday and a bottle of tequila in the kitchen cupboard at work. And there are two guys at work who also build stuff who’ll be interested to see the mallet. Wow, nice Earl. I will definitely read your blog on it. Outstanding share with the “volunteers”! Earl, Thor would be jealous. haha They look great. 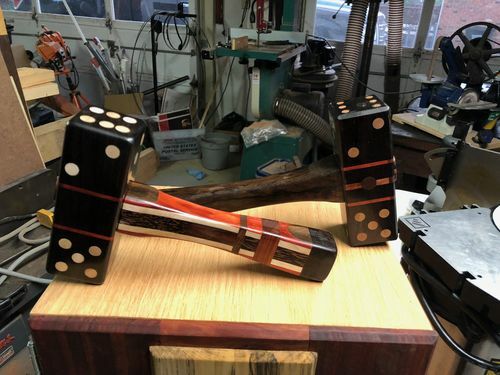 Wow, those are some fine looking mallets! I’m glad I’m one of the “volunteers”! Look forward to it’s arrival! Earl!!!! Just got my package! You outdid yourself with something from 2 swaps! Mine got here today, too. Yowza! They were a big hit at lunch for Show and Tell. 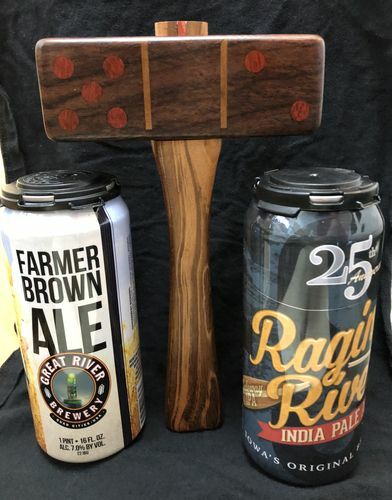 How did you guys manage to keep the beers long enough to take pics? They seem really happy together. I’m hoping they’ll make some babies!